Not only will it keep you warm in winter, this superb Beldray electric fire will look lovely and cosy in your home. You can control and manage the temperature of the room with the two heat settings; 1000W and 2000W, and it has overheat protection for safety. 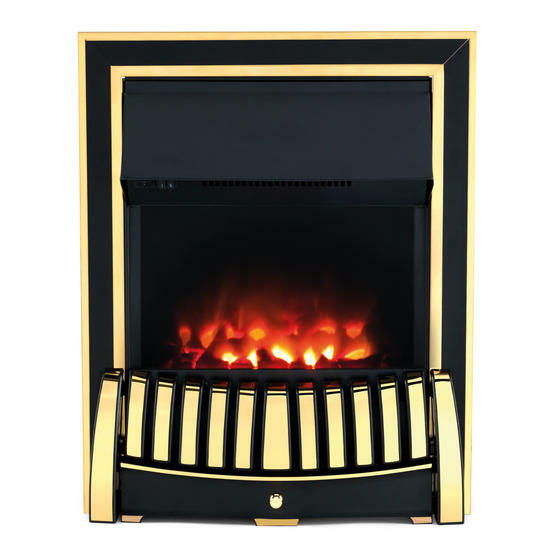 With a premium brass effect fascia and fret, it has a touch of sophistication and will match almost any decor, while the coal effect bed and LED flame effect create a gorgeous atmosphere without the hassle of having to maintain a real fire. This Beldray fire has a coal effect bed and LED flame effect to create the look and feel of a real fire, while being easier to use. Wonderfully simple to use, with a safety thermal cut out system and control switches to turn it on or off and adjust the heat setting. Measuring 48l x 19w x 59.5h cm, a spacer kit is included so you have the option of free-standing use or to secure it to a fire chamber. 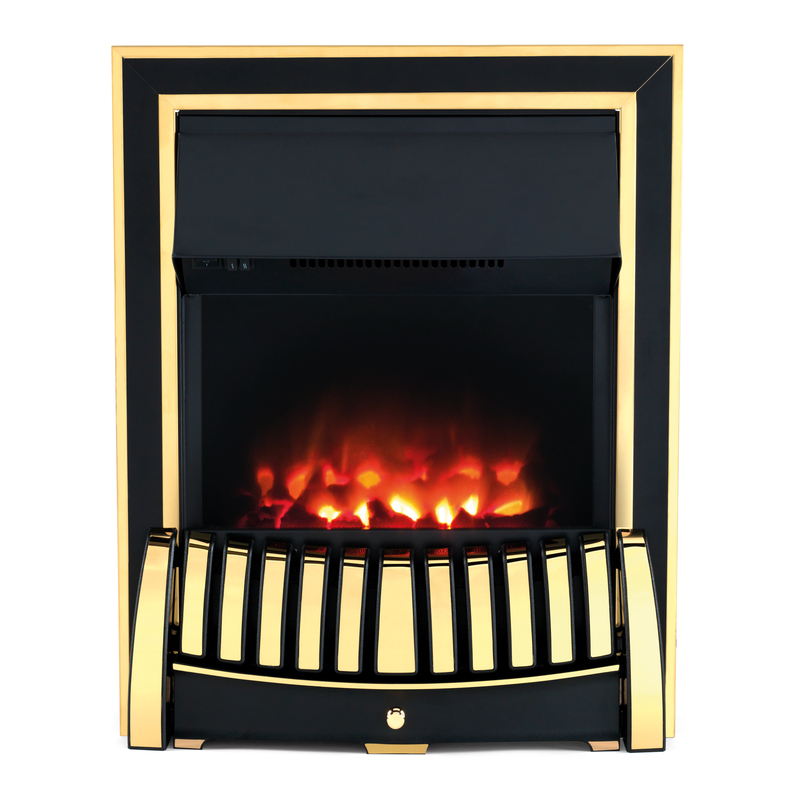 With a premium brass effect fascia and fret with a sleek black inlay, it will look great and provide your home with fabulous warmth.